there should be a confirm no of permanent teachers. and as of now rest, everything is manageable. College life is a bliss to me like everyone. But after two years it rounded like a political manifestation.hated all those.but all over its an experience and experiences can't never be remarked. 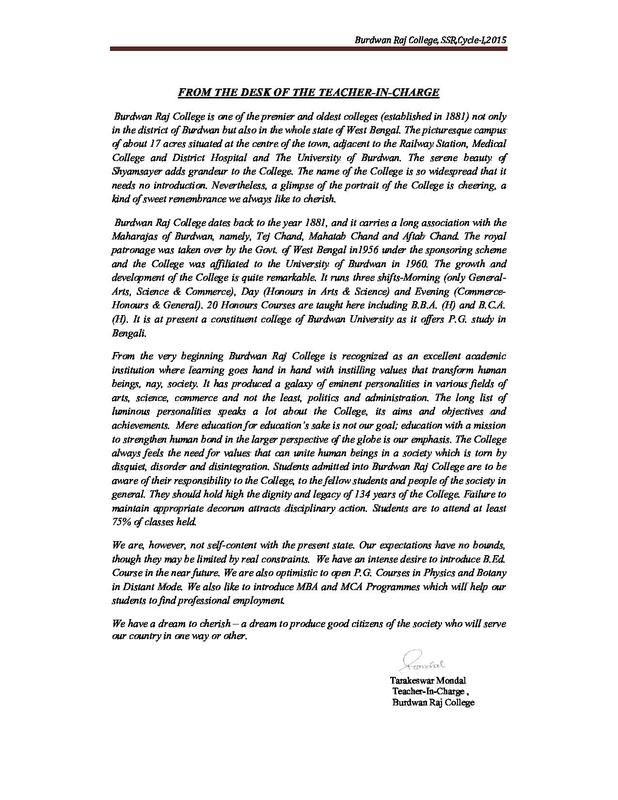 Burdwan Raj College, Burdwan was established in 1881, is one of the premier and oldest colleges not only in the district of Burdwan but also in the whole state of West Bengal. The picturesque campus of 13 acres is situated at the centre of the town, adjacent to the Railway Station, Medical College and Hospital and The University of Burdwan. The serene beauty of Shyamsayar adds grandeur to the College. The college carries a long association with the Maharajas of Burdwan, namely, Tej Chand, Mahatab Chand and Aftab Chand. The royal patronage was taken over by the Govt. 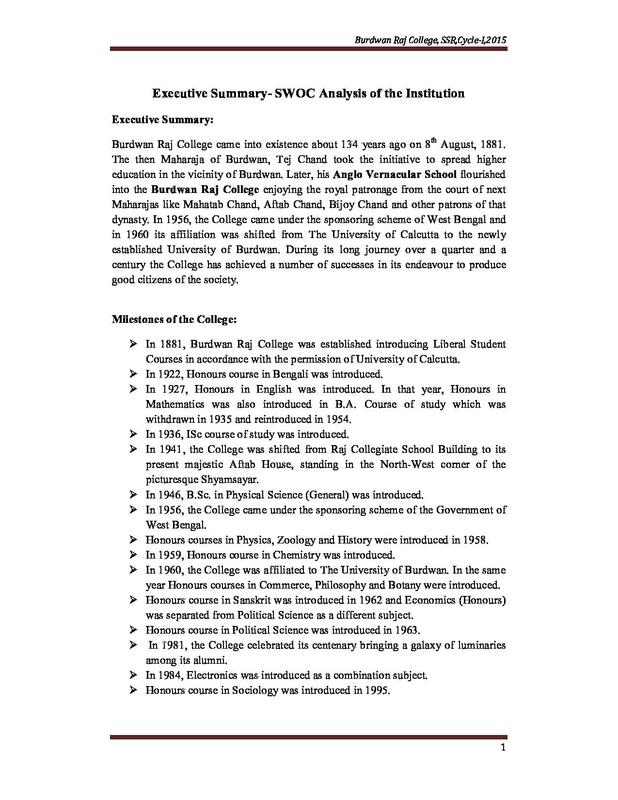 of West Bengal in 1956 under the sponsoring scheme and the College was affiliated to the University of Burdwan in 1960. The College is recognized as an excellent academic institution. The growth and development of the college is quite remarkable. NSS - The College has two units of NSS which serve as an agency through which students are imparted training with different programmes of community services suited to their talents and temperament. NCC - A NCC unit is functioning in the College for all the male and female students. All classrooms are well equipped with modern facilities. The college library is well equipped with 40,000 textbooks and reference books. At present, there are 2 hostels for male students of the College viz., Nalini Ranjan Sarkar Hostel and Fazlul Haque Hostel. These two boys’ hostels can accommodate about 70 students each. Nitish Kumar Dey Scholarship - For poor but brilliant students studying in B.Com. Course (Evening) and residing at the College Hostel. Sachchidananda Mukherjee Scholarship - To be awarded to the student securing the highest marks in the University Examination in Chemistry Honours and Pass Practical Examinations. Debashis Guha Memorial Award (Two) - One to be awarded to the student securing highest marks in University Examination in Political Science (General Category) and other to the student of Political Science (Hons.) from reserved category. Bibhuti Bhusan Roy Memorial Award (One) - To be awarded to the student securing highest marks in University Examination in Botany among the students of Burdwan Raj College. West Bengal Minorities Development Finance Corporation. Aftab House, Frazer Avenue P.O. 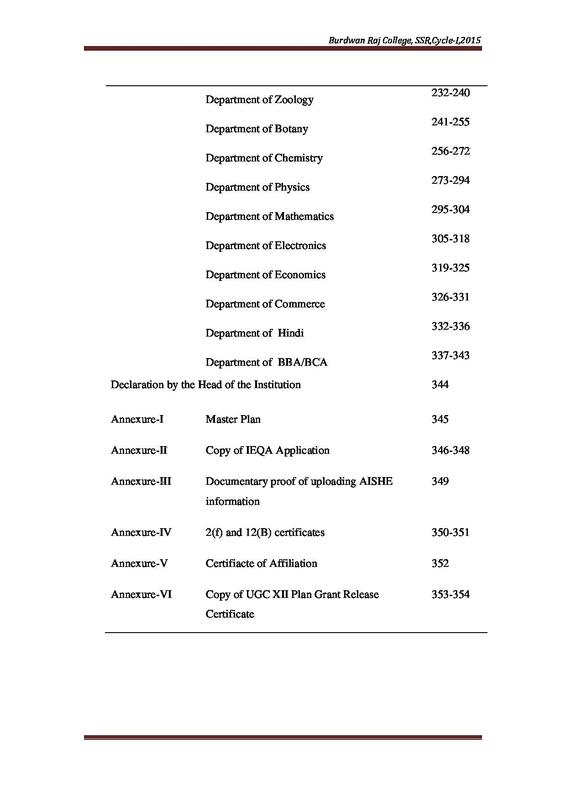 H.S numbee basis admission. I have go online site of raj college, and fill my detial my h.s. wait for counseling. "nostalgia at its best ..kudos to studies"
Direct admission, b.com course of 3years 45%, best college for commerce (burdwan university ). So, I took admission. Entrance in this college made according to the marks obtained in 10+2 level. 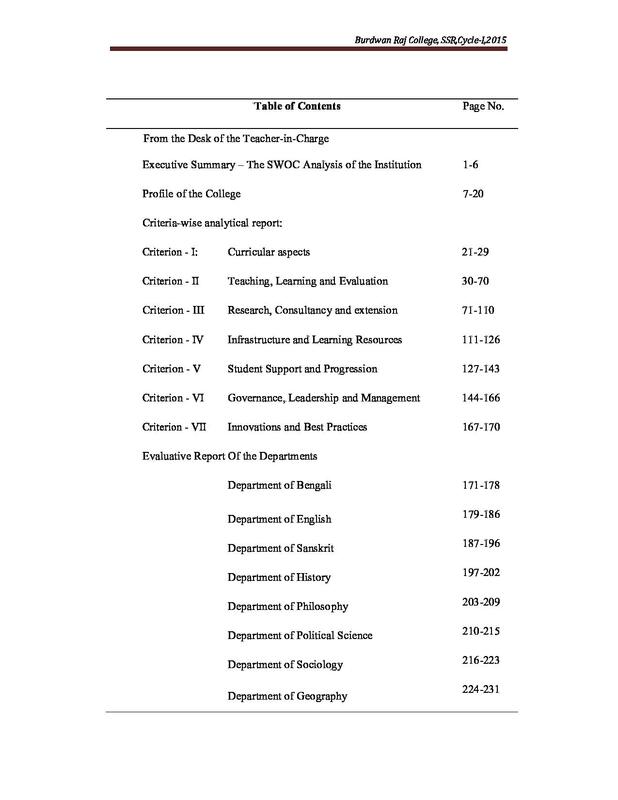 I choose this course as I love maths, Raj College is a very good college under Burdwan University.